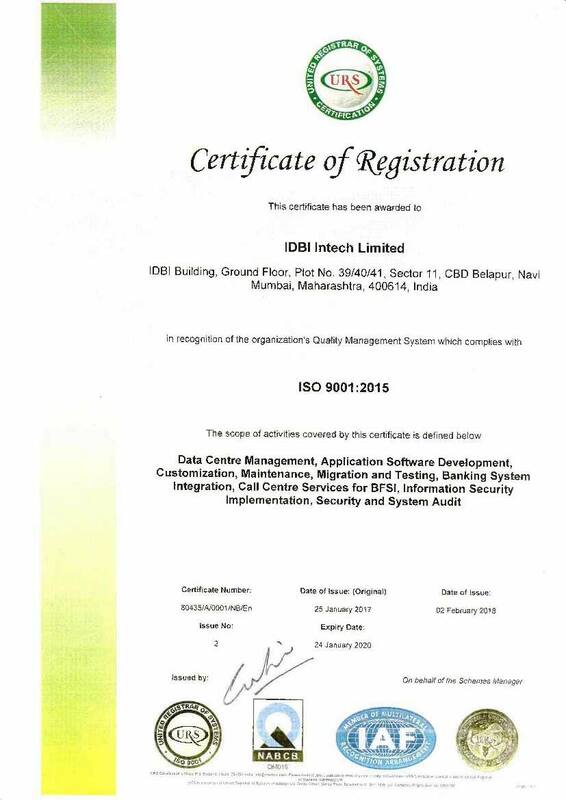 IDBI Intech Ltd. (Intech) has been accredited with ISO 9001:2015 certification for IT related services including Data Center Management and Call Center. After carrying out a detailed certification audit, M/s TUV India Private Limited (Member of TUV NORD Group Germany), the certifying agency issued the ISO 9001:2015 certificate. The certificate demonstrates that IDBI Intech provides consistent standard of quality services.